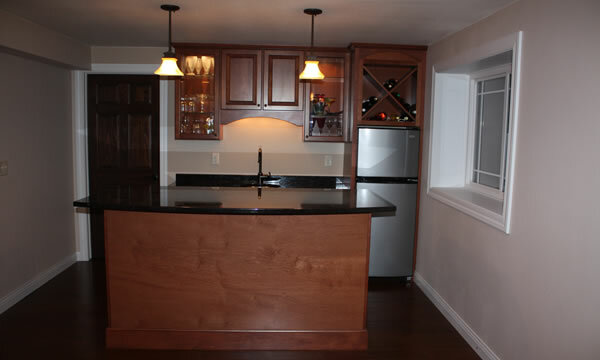 Remodeling and Renovating your Kitchen is an excellent project for Wisconsin homeowners who want a larger, more meaningful transformation within their home. Renovating your kitchen to better suit your lifestyle needs is a great way to be happier in your home and the renovation can even increase the value of your home when you plan to sell. Abel Complete Construction knows your kitchen is the heart and soul of your family life and that’s why Abel Complete will help you carefully plan, design and then build your dream kitchen with your own needs and personal style in mind. With so many kitchen remodeling design trends and styles of materials to choose from, remodeling your kitchen may seem overwhelming. Abel Complete Construction will work with you every step of the way from providing kitchen remodeling ideas, drafting your kitchen layout, custom cabinet selection, countertops, flooring, colors and finishes and even down to helping you choose the right appliances and where to place them for the best convenience. Your new kitchen should be an absolute pleasure for you to cook and entertain in… That’s why we’re here! Transforming your current kitchen into your dream kitchen is what Abel Complete Construction does best. Your new kitchen will improve your quality of life and make your home more enjoyable. Not only that, but a professional kitchen remodeling job can make a great positive impact on the resale value of your home, too. If you’re a homeowner seriously wanting a change and you’re ready to start speaking with potential contractors for your kitchen remodeling project, please give us a call or fill out our form to request your estimate. We understand you’ve got many contractors to choose from in Central Wisconsin to complete your Interior Home Remodeling project. We just want you to know that when you choose Abel Complete Construction to complete your home remodeling project you’re not just getting a contractor. You’re taking on a valued partner with years of experience making Wisconsin homes more enjoyable, more suitable places to live for families just like yours.